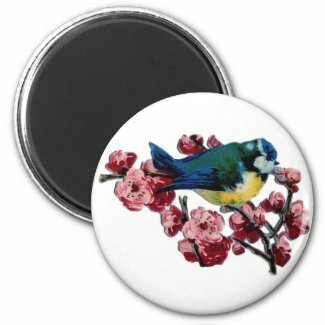 I have sold 4 magnets to Michel in Hamburg, Germany with a cute vintage motive of a bluebird and cherry blossoms. Yay! The picture is public domain and free to use, I did not create it. But it seems I have found a good niche. Make your own magnet online at Zazzle. « Celebrate 4th of July with Style!